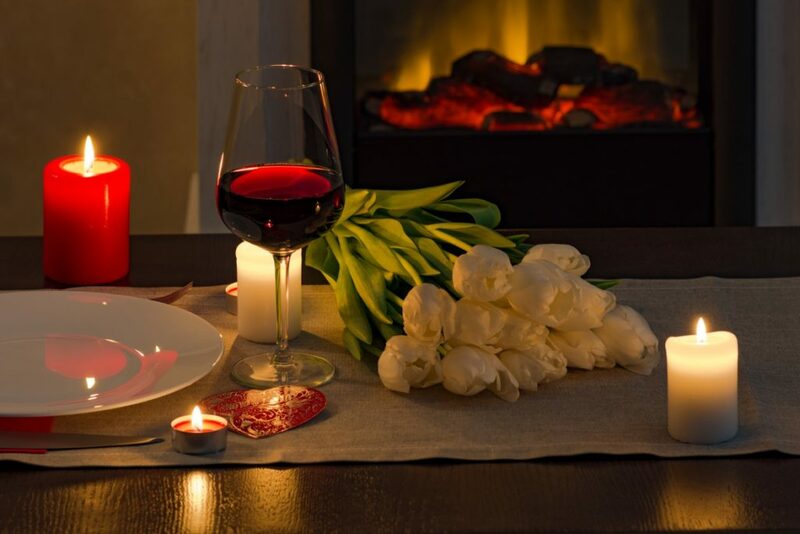 Set the mood for love this Valentine’s Day by decorating your Temecula apartments! All it takes is some DIY décor and crafts to spice up a romantic surprise or create a sweet celebration with friends and loved ones. Nothing says love more than homemade Valentine’s Day decorations. These are easy to DIY from scratch, but if you’re pressed for time, it’s fine to visit stores near Temecula apartments for some ready-made accessories. Got everything ready? Turn up the romance with these Valentine’s Day decoration ideas! Travel back in time by printing photos of memorable moments and putting them up as a wall collage. Arrange the images creatively by spelling out L-O-V-E, or use the pictures to form your lover’s name. What’s Valentine’s Day without hearts all over the place? The sky is the limit when it comes to filling up apartments in Temecula with hearts! Consider cutting out heart-shaped paper chains and hanging them on the wall. Create heart wreaths, post simple heart cut-outs, or make it rain with heart confetti. You don’t need to stick to the classic red and pink hearts either – minimalist black and white hearts, rainbow hearts, or themed heart color combinations are an excellent way to switch it up. Make it a garden-inspired day for lovers with a bouquet of fresh blossoms. For instance, make a centerpiece out of red roses for your table. Pin colorful, dried flowers all over the walls. Cover the bedspread with rose petals all the way to the door. Get creative by crafting your own flower origami and paper flower art. Add a splash of magic to your Valentine’s Day celebration with different light schemes inside your apartment. Turn off the bright overhead lights, and switch on the moody lamps. Put candles in jars with ribbons and scatter them all over the place. Take your Christmas lights out of storage and hang them up to create a starry-night effect. Make your apartment smell as wonderful as it looks! Rose, jasmine, sage, lavender, strawberry, and vanilla are some top Valentine’s Day scents. Infuse the air with these magical smells through essential oils, fragrance sprays, scented candles, or solid fragrance bars. Valentine’s Day celebrations at Sycamore Terrace Apartments in Temecula, CA don’t end with decorations. Enjoy a sporty date at Sycamore Terrace Apartment’s game courts, pools, and fitness gym, or have an intimate picnic in our lush, green grounds. Invite family and friends for a group date in our clubhouse. Wine and dine in the many restaurants conveniently located near Sycamore Terrace. As a bonus, all households that pay their rent before the first day of each month will get a treat from the apartment manager! Celebrate romance, enjoy a sweet treat, live the good life — do it all here at Sycamore Terrace Temecula Apartments!